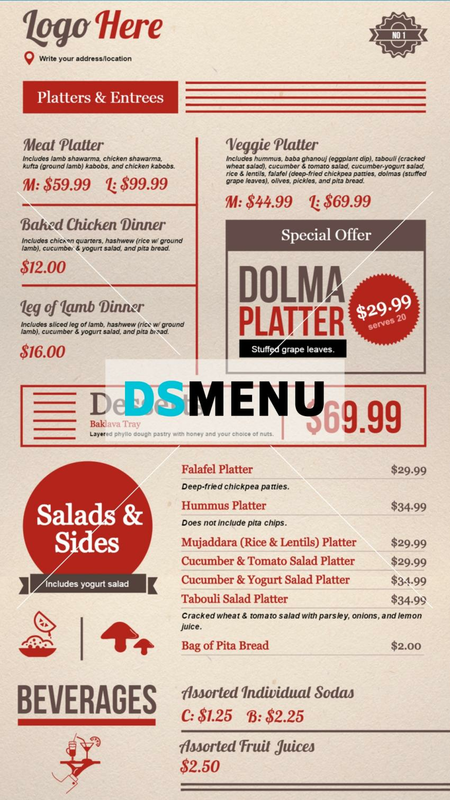 A bi color portrait deli menu board template with lots of texts and some unique food icons in between to grab customer attention. Special offers gets a prominent place in the menu board to stand out. The menu board is ready for edit and download.